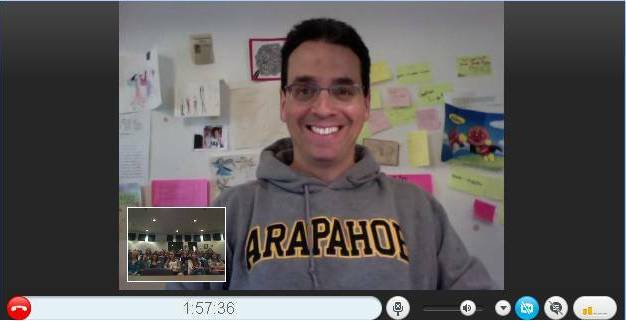 We had a fantastic session with Daniel Pink today. He was even better than he was the first two years (and the first two years he was very good). He seemed more relaxed and really engaged the students in conversation more. The ustream and CoverItLive archives are embedded below. Unfortunately, the sound on the ustream wasn't great. A lot of static at the beginning, although that gets a little better after about 5 minutes, but still isn't great. But if you're interested in A Whole New Mind, or in the process of skyping with an author, it's still worth your time.